Do you have a pet-lover in your life who loves to spoil their 4-legged family members? Get them a gift card to your favorite pet supply store! 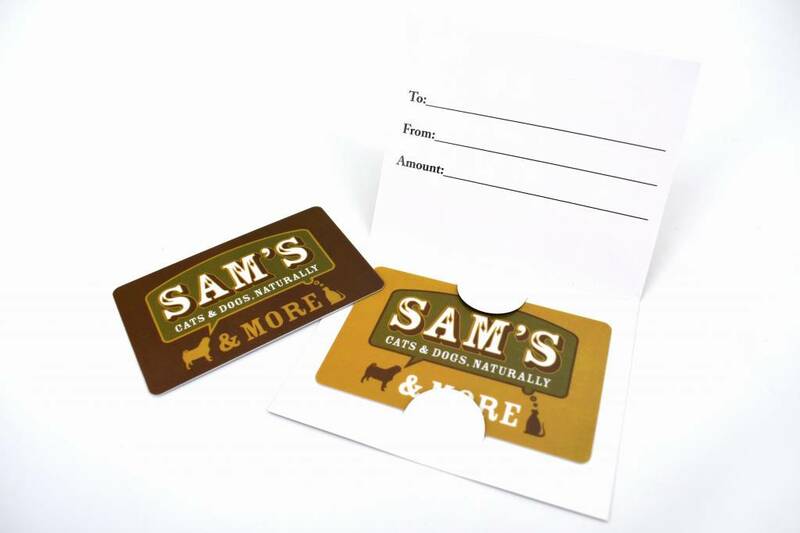 *Gift cards for use at Sam's Cats & Dogs stores only. Not valid for payment of online orders.